The latest e-banking technology B-Web Smart Internet Mobile Service was launched by the Bank of Africa Tanzania to cater for growing client needs and fast-paced banking industry. In order for Bank of Africa Tanzania’s customers to utilize the B-Web Smart mobile banking service through Smartphone, clients need to fill in the B-Web application form available at any Bank of Africa Tanzania branch. Tanzanian banking sector is one of the most competitive in the world and in view of this, Bank of Africa Tanzania has equipped itself to fully meet the demand of its customer banking requirements the growing client base. At the launch Bank of Africa Tanzania e-banking Senior Manager Cyprian Massawe said the newly introduced service would enable the bank’s customers to access their account at any time and at any place. “B-Web smart customers are required to undergo a simple exercise by filling the B -Web application form available at all of the bank’s 19 branches…thereafter the registered customers will have to visit http://www.bwebsmart.com/ using their connected internet Smartphone ready to access the services” he said. He informed that the service has the advantage of higher transfer amount compared to other mobile banking and allows transaction across banks within Africa and the rest of the world. 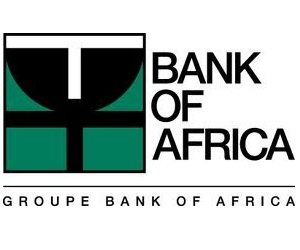 Bank of Africa Tanzania is a Private Commercial Bank of an 18 branch network operating in Tanzania since 2007, with strategic partnerships with BMCE Bank, West Africa Development Bank, Belgium investment Company for Developing Country and Investment Fund AUREOS.